Loup Ventures is a research-driven, early stage venture capital firm based in Minneapolis and New York. We�re pursuing The Future Perfect � an absolutely fantastic future created by the combination of artificial intelligence, robotics, virtual reality, and augmented reality. And research is in our blood. We publish research on the emergence of The Future Perfect, the themes driving it, and the companies making it a reality. 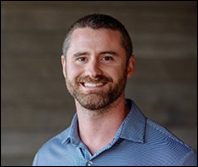 Doug is a co-founder of Loup Ventures, an early stage VC investing in artificial intelligence, robotics, virtual reality, and augmented reality. He previously held roles at Piper Jaffray, Nokia, Enpocket, and the Robert H. Clinton Auction Company. RealVision RealVision is an immersive media technology company that builds 3D media solutions for the real estate industry. Neurable Neurable�s vision is to create a world where people live without limitations by enabling 3-D control of software and devices through brain activity in real-time. Our technology has enabled people to play games, operate toys and drive a full-sized car using their brain activity.